My Soul Healing Miracle Journey for Purifying Soul Heart Mind and Body: A Tribute To my Spiritual Father and Teacher. From Love came the Truth. From the Truth came his Song. From his Soul came all Creation. For within his soul, is All. For this is what the Source represents. Like the boundless light of the Shining Stars in Heaven. Each one, a drop of Gold falling into the fountain of Grace and Mercy. Fear not the light, for it will only uplift you dear Ones. Fear not the love, for it can only melt the Boundaries of your Heart. Fear not the Compassion, for it will only Embrace you like a Mothers Love. Gently humming the lullaby that you have known since the beginning of time. Today i would like to honor my most Beloved Spiritual Father and Teacher, Dr and Master Zhi Gang Sha. My heart and soul overflow with greatest humility, love and gratitude for the Honor to be in the Presence of the Greatest Spiritual Father and Teacher of all time. Today, I invite you into my heart and into my soul to realize this more deeply. 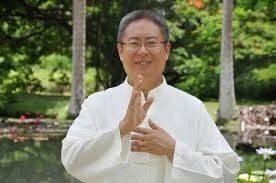 Simply connecting heart to heart soul to soul with Master Sha, will bless your soul journey beyond words and comprehension. In deepest honor, i thank my spiritual father, for all that he has given to me in all my lifetimes. I could never have reached where i am today without his blessings and light. It is the Divine's love, forgiveness, compassion and light that flows through me to you. It is the Divine's blessings that i am a Channel for. The dream i thought impossible, has become possible through your blessings, Master Sha. Thank you from the depth of my heart and soul. Countless bow downs and a thousend thank you's for this words full of love and gratitude. I am touched beyond and in tears for the truth and veracity of your words. Thank you for sharing your total Gratitude, Obedience, Love and Devotion - your total GOLD with us. I am so grateful to find all of you again, to find our all spiritual Father - and to find you. In deepest love, yours Tatjana. your tribute touched my heart so deeply and opened it more. You have the very special gift to derplx touch and connect with our hearts and soul and to open them further and further. Your posts has the ability to further connect us with our most beloved Master Sha. Da Gan En, Da Gan En, Da Gan En! It is with the greatest gratitude and honor I receive your heart and your light Master Maya. To feel the connection and devotion you hold for our spiritual Father and teacher is the greatest blessing upon our soul journeys. For to know this as is given to be Known is a gift beyond thought or understanding. It is with deepest gratitude I honor your service to is all to feel the gift of your truest heart and nature thus delivering us all into that pure space as I'd given to be with our dear and beloved Master Sha. My heart and my love to you h all days.